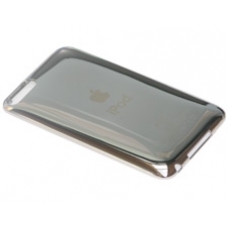 Original Apple chrome rear case for the iPod Touch 3rd Gen. If you have damaged the rear case in any way, perhaps from a home repair, or just feel like having a new one, this is the ideal part for you. * Includes the Metal Structure for Clipping on to the iPod's Body.